When the summer arrives and we hit the warmest months of the year then a wetsuit top or jacket can be the perfect solution to keeping you warm whilst in the water. Generally a wetsuit top will be made from either 1mm or 2mm neoprene and are designed to give you maximum freedom of movement in the water. You can wear a pair of neoprene shorts which are 2mm neoprene or and bikini / pair of shorts. A lot of surfers use these top in more tropical destinations for the morning surf as they are great in keeping you warm from the morning cooler winds. So even though the water might be warm the wind can be the problem especially when you are wet. The tops are designed for Men & Women in either short sleeve or long sleeve versions. Where Can I Buy A Wetsuit Top Or Jacket From?  Sorted Surf Shop has one of the UK's largest ranges of wetsuit tops and jackets in stock all year round. Some feature an all in one entry system so you put them on like a jumper. Some have a zip system either at the front or back making them easier to put on or take off. As the jackets have become more and more flexible the more water sports are tending to use them. So you can even use these at the beach in the summer to make sure you don't get cold just playing in the sea. The range we hold includes styles from the best brands such as O'Neill, Rip Curl & Quiksilver. If you have any questions on sizing or which top will be best for your water sport then please feel free to call us.